One of this year’s most beloved films since its release earlier this year, “Mad Max: Fury Road” continues to solidify its lasting mark on 2015, this time as the top finalist in the tenth edition of Indiewire’s Year-End Critics Poll. More than 200 critics from around the world voted in 14 categories for the latest edition of the poll, which was initiated in 2006, when “The Death of Mr. Lazarescu” won first place with the participation of 100 critics. Since then, Indiewire launched the Criticwire Network, which forms the basis of the current survey. Reflecting some of the most interesting end-of-year battles for attention in recent memory (e.g. “Avatar” vs. “The Hurt Locker” in 2010), the majority of votes this year went to George Miller’s desert-bound visual feast for Best Film and Best Director — with Todd Haynes’ “Carol” landing in second place for both categories. 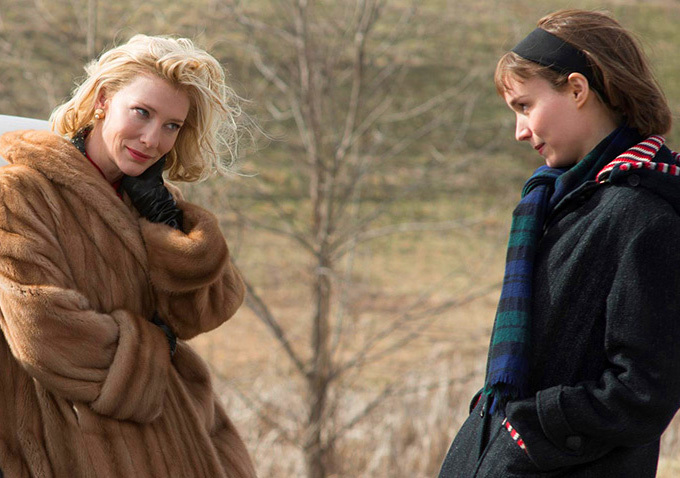 The two films traded off many of the other categories as well, with “Carol” landing Best Cinematography and Best Original Score/Soundtrack honors and “Mad Max” handily placing first in Best Editing by the widest margin of the entire poll. The Lead Actress category proved to be one of the most hotly-contested categories, with a quartet at the head of the pack for much of the voting. In the end, Charlotte Rampling’s turn in “45 Years” narrowly beat out Saoirse Ronan’s turn in “Brooklyn,” Nina Hoss in “Phoenix,” and Brie Larson in “Room” for top honors. While “Spotlight” wasn’t entirely ignored by critics, its ensemble was absent from the acting categories. Instead, Josh Singer and Tom McCarthy’s script was the top pick for Best Screenplay. Taking a step outside the typical awards season narrative, critics were asked to vote on the best 2015 films that have yet to receive U.S. distribution. Greek director Athina Rachel Tsangari’s “Chevalier,” a comedy about male competitiveness set almost entirely on a boat, took the top spot. (The film recently screened at the Locarno and New York film festivals.) “Right Now, Wrong Then,” from South Korea’s prolific Hong Sang-soo, landed in second place. Participating critics included fixtures of the profession such as J. Hoberman, Philip Lopate, Amy Taubin, L.A. Weekly’s Amy Nicholson, and Variety’s Peter Debruge and Guy Lodge. View a full list of participating critics here. Explore the full results here or peruse the list of winners and runner-ups on the next page. See the full results at the survey homepage.